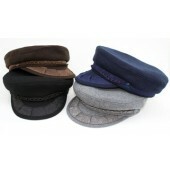 The Greek Fisherman Caps come in variety of materials and colors. 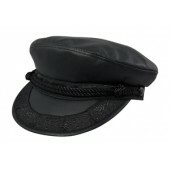 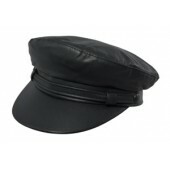 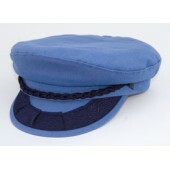 The fashionable style includes trims in the visor and braided cord in front the attaches to matching buttons. 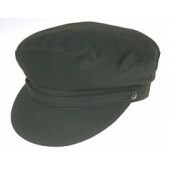 The Wool Greek Fisherman cap comes in colors such as black, gray, brown and navy and is perfect for the winter and fall seasons. 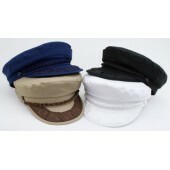 The Cotton Greek Fisherman comes in black, white, tan, navy, and denim and would be ideal for the summer and spring seasons. 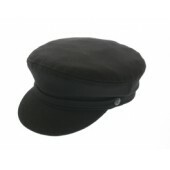 Finally, the Leather Greek Fisherman is made in Black and Brown for the winter time.